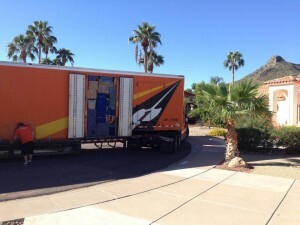 Our stuff is here. It’s been a long day and I’ve learned a lot. The rooms are stacked with boxes, but at least we get to sleep in our own bed tonight. This entry was posted in Freestyle Podcasts, Podcasting. Bookmark the permalink.